I’ve always been fascinated about who football players are outside the pitch. Finding out beyond their career and playing stats... what are the little known facts about them? 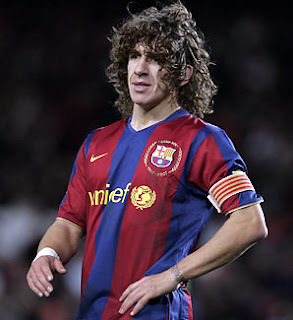 The first post for Footballer Focus will be Barcelona’s Captain, Carles Puyol. His superstitious belief/practice (this could be a great idea for a series): When he steps on the pitch, he always does it with his right foot and not touch the lines. According to him, his parents did not believe that he could become an accomplished footballer and instead encouraged him to study. Read this cute Marie Claire interview of Puyol which gives you a peek of the dynamics of the Barca team and he talks about meeting the queen wearing a towel. For career stats and details, click here and here. 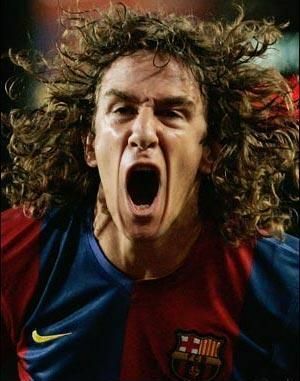 After reading all the things about him and FC Barcelona, the more I love I fell in love with the club. They seem to be really goof friends and get along with each other.